I'm making Greek yogurt pumpkin parfaits for an early brunch/lunch Thanksgiving with my family, a raw brussel sprout salad for dinner at my boyfriends family's house, and I'm wearing this adorable little outfit to both events! The most important part when outfit planning for Thanksgiving? LEGGINGS!!!! Hahaha. There is no way I wanted to be stuck in pants while I would be going to TWO different Thanksgiving meals within 5 hours. Gulp. Luckily I have a pair of basic brown leggings that I could pair with my new Jaden Top I just got from Catch Bliss Boutique. Paired with some cute brown boots and this darcy bow belt I'm all ready for a day of feasting while still being comfortable! I love how versatile this top is: I can switch up the whole look by swapping out the brown leggings for some khakis, adding some little booties and throwing on a fun scarf! 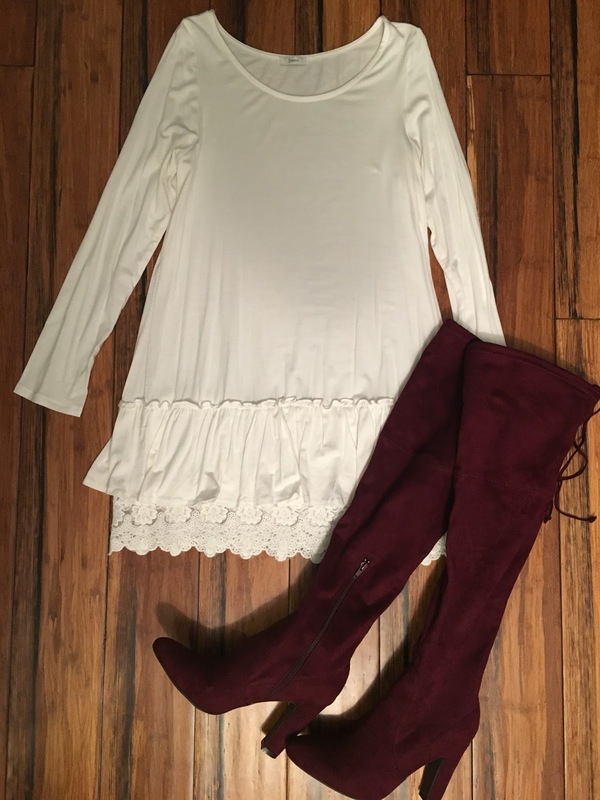 I'm a little obsessed with matching ;) so when I saw this scarf from Catch Bliss had maroon in it, I mayyyybbbeee bought these booties off amazon (affiliate link) with the sole purpose of matching that little maroon stripe. Matching addict AND shoe addict: dangerous combo. I got a few other fun things from Catch Bliss like this flower print dress which has been PERFECT to wear to work. 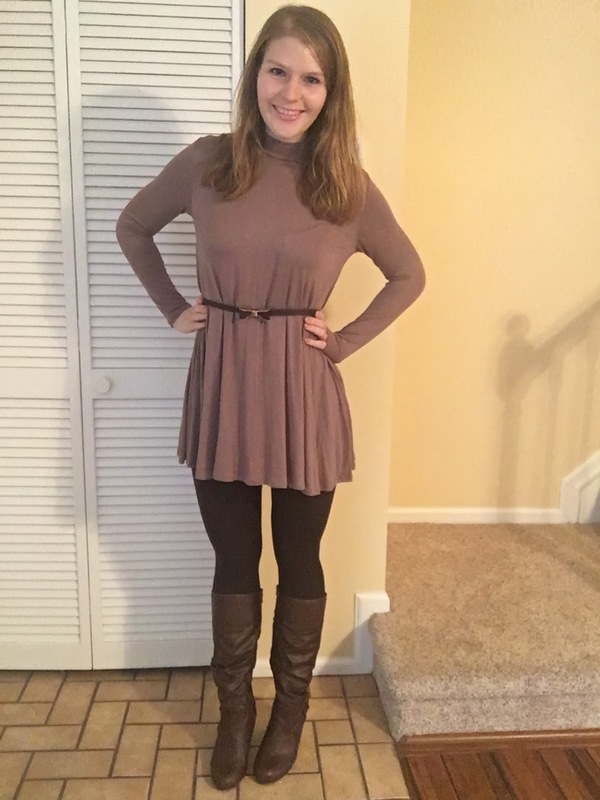 Professional, modest, and cute? Win-win-win! 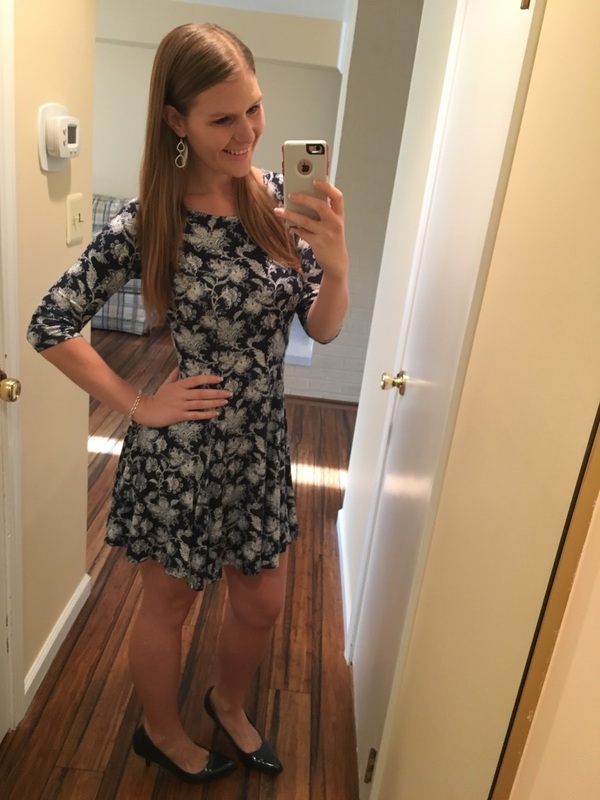 This Tori Dress dress on the other hand is a litttttle to short to wear to work but paired with the Katrina Necklace and some strappy heels it was the perfect outfit to wear out to happy hour with a girlfriend! And lastly...I'm still actually working on making a necklace to go with this Melinda Top! I just love this top paired with my over-the-knee boots from DSW but I needed SOMETHING to tie the two colors together so I'm making my own white and maroon necklace! Who wants a tutorial while it's done??? Anyone else have leggings planned for turkey day? Whatever you are wearing I hope you enjoy the time with your family and have some good eats and a restful holiday!